Oh, its always hard to return to normal life after a lovely bit of vacation, especially a ballet vacation. Those are always the very best. This past weekend, I flew up to San Francisco. It’s just a little over an hour by plane but it’s a very different experience from Los Angeles. Balmy and crisp to L.A.’s heavy heat, even in the middle of winter. Mornings and evenings are often shrouded in a moist, grey fog which is quite an improvement to the hazy smog of Los Angeles’ evenings. It’s wonderful to be released from the confines of a vehicle caught in traffic freed to wander around a walking city, full of charm and wit. And then hop on a cable car and ride down to the wharf to eat steamed crab and watch sea lions lounge in the afternoon warmth. 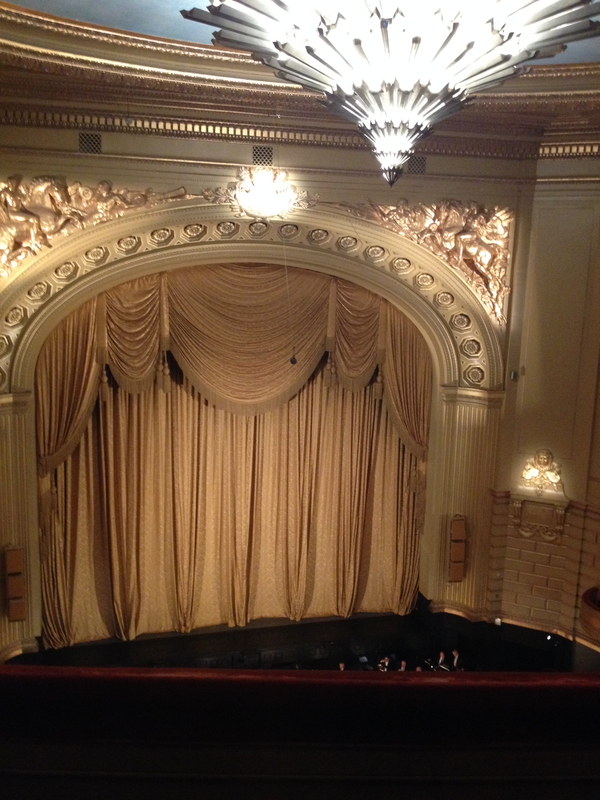 It’s a lovely city and I highly recommend it as a destination and not just for a vacation… San Francisco is home to the amazing San Francisco Ballet. Most people think of New York when they think of American ballet but actually San Francisco Ballet is America’s oldest professional ballet company. They are an amazing company with both mature and well-seasoned dancers and energetic youth raring for opportunity and teeming with talent. San Francisco is indeed a destiny for ballet lovers. SF Ballet does this wonderful thing where they overlap programs. It must be harsh on the dancers but for the audience, it’s fab! I can head up to SF and get to watch two different ballets by the same company in a single weekend! I love it!! The company performs at the War Memorial Opera House which is a beaux-arts building that first opened it’s doors in 1932. It’s worn around the edges but beautiful in that patinaed kind of way with a stunning sky blue ceiling. Offerings for the weekend included a Program 1 which was a mixed bill and Giselle. Friday night was Serenade, RakU, and Lambarena. Balanchine’s Serenade is pure, bold, and somehow both spiritual and sensual. It’s genius is that to experience Serenade is to journey through the emotions – sometimes exquisite, sometimes simple, the movement is often in patterns but never just geometry, it’s stark and then luscious. If, in the words of Balanchine, ballet is woman, then perhaps Serenade is ballet. Next up was RakU. I’m not sure exactly how to explain RakU, perhaps the best descriptor is to say that it is performance art. RakU and Yuan Yuan Tan are inseparable. She helped create this role and it is entirely hers. The choreography is very contemporary and at times completely avant-garde. To be honest, some of it has to be painful to complete, the difficulty and the drama of the movement is not hidden. It’s very theatrical and although I usually eschew theater in my ballet, I cannot help but love RakU and YY in this amazing work of art. The evening ended with Lambarena. I wasn’t really familiar with this work and so I was quite taken by surprise – to bad it wasn’t a good surprise. Lambarena is a ballet version of The Lion King but without the exuberance and joy. Of course I’m hoping that The Lion King is exuberant and joyous because I’ve never seen it. Nor the Disney movie. I enjoy ethnic work – that’s part of why I like RakU, for the butoh. But here…Lorena Feijoo worked it with all the Cuban soul in her awesome body but the fusion of African dance and classical ballet along with the mixing of African music and classical music seemed disjointed and incongruent, at least to me. There were moments that were clever and lovely, too bad not the whole. 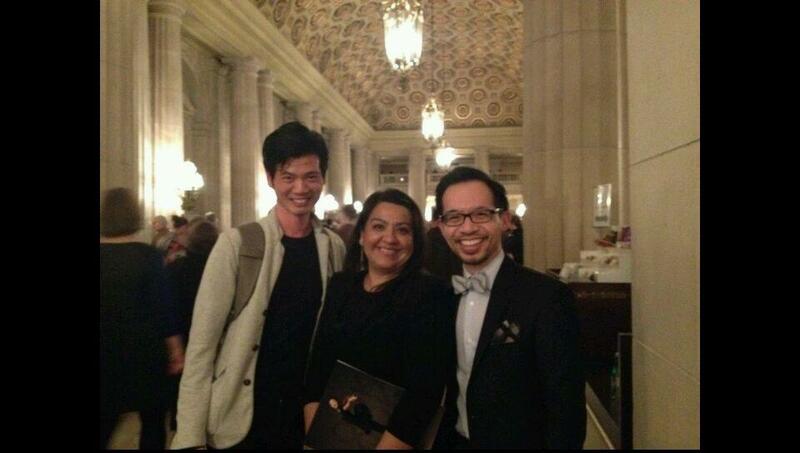 On Friday I went to the matinée performance to see Frances Chung‘s debut and only performance this season of Giselle. Frances has been a principal dancer since 2009 but for some reason isn’t featured that much. It’s a mystery because she is a wonderful, wonderful dancer. She has bright, light movement and a personality and charm that shine through her every move. She danced her Giselle opposite Luke Ingham, a relatively new principal. Act I was pretty standard fare. Everything was clean and lovely even if not spectacular. Frances and Luke offered up a technically beautiful performance that was a bit on the safe side emotionally. But if they played it safe for the first hour, they stepped it up and owned Act II. I’m partial to Act II anyway and it was absolutely stunning – rich and delicious – a completely satisfying performance. As a complete and most terrific bonus, I got to see Jeff Tabaco (The Music and the Mirror) again and finally got to meet Ethan Teng (DancingFoodie) and Ballerina Jen! The power of social media! A ballet vacation made even better with ballet friends. Yay! So glad you came up for a one-two punch of San Francisco Ballet, and that we got to see you. See you soon again! It was great to see you again, Jeff! Maybe we can have a group get together in February! YAY! !